How Much Does a Health Care Administrator Get Paid? Health care administrators earn high salaries. 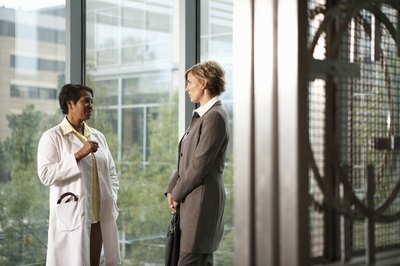 Improving the quality of health care services is just one of the responsibilities of a health care administrator. Sometimes referred to as a health service manager, this executive must oversee staff, manage finances, monitor regulations and become the face for the health care facility to board members and investors. For the high degree of responsibility, many health care administrators bring home six-figure salaries. In 2011, medical and health service managers averaged $96,030 a year. But certain industries pay higher salaries for health care administrators, skewing the average. For this reason, median wage is often used to predict earning potential. According to the U.S. Bureau of Labor Statistics, or BLS, half of all health service managers earned less than $86,400 a year. As with any job, the employer affects pay rates. Health care administrators for supply chains average $83,000 a year, reveals a survey published by “Healthcare Purchasing News.” Those working in outpatient care centers earn more, averaging $92,860 a year, reports the BLS. At hospitals, the salaries are even higher, coming in at $102,040 a year. These administrators at nursing care facilities average just under $81,000 a year. Location also impacts salaries, sometimes even more so than your choice of employer. For example, health care administrators in Massachusetts earn the most in the nation, averaging almost $113,000 a year, regardless of industry. The average salary in Rhode Island is a close second, coming in at $112,260 a year, while those working in New York earned an average of $111,270 a year. But health care administrators in North Dakota don’t fare as well, earning $74,150 a year, on average. Salaries in Montana are the lowest, with the average administrator earning $72,840, almost $24,000 less than the national average. Through 2020, employment in the occupation is expected to grow by 22 percent, reports the Bureau of Labor Statistics. This is much faster than the growth rate of 14 percent for all U.S. occupations. As more and more people are reaching an advanced age, additional medical professionals are needed. As hospitals, clinics and other medical facilities add to their staff, more administrators must be brought on to manage the facilities. Healthcare Purchasing News: Are These Supply Chain’s Go-Go Years? What Is the Hourly Wage of a Phlebotomist? 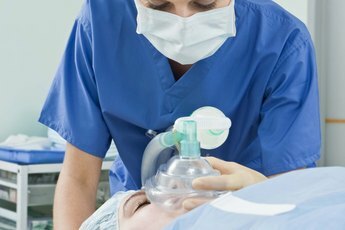 How Much Would an Anesthesiologist Make in Virginia? 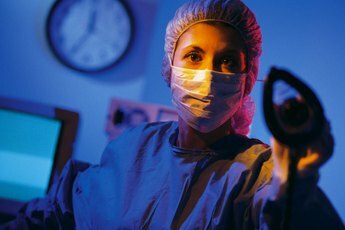 How Much Do Operating Room Nurses Make? 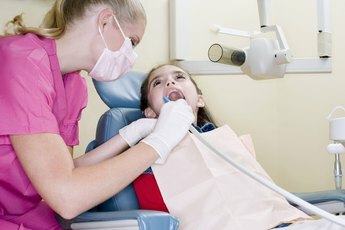 What Is the Starting Salary for a Dental Hygienist?